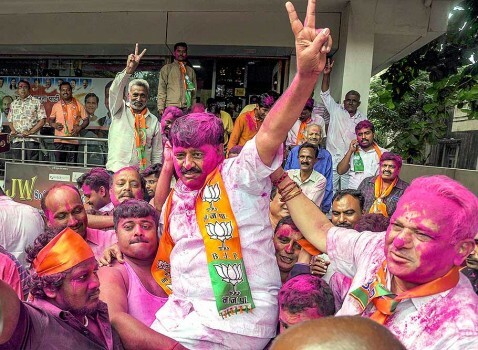 Bharatiya Janata Party (BJP) leader Chander Mohan Gupta poses for a photograph after being elected as the new mayor of Jammu Municipal Corporation (JMC), in Jammu. 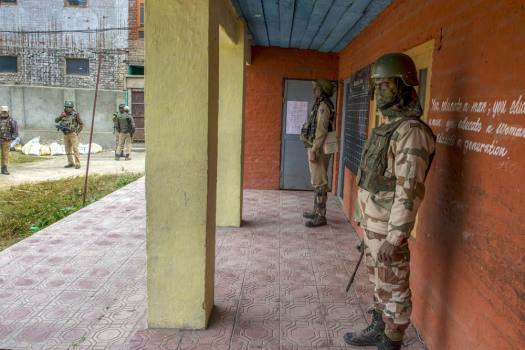 Security personnel stand guard at a polling station during the fourth phase of elections for urban local bodies in Srinagar. 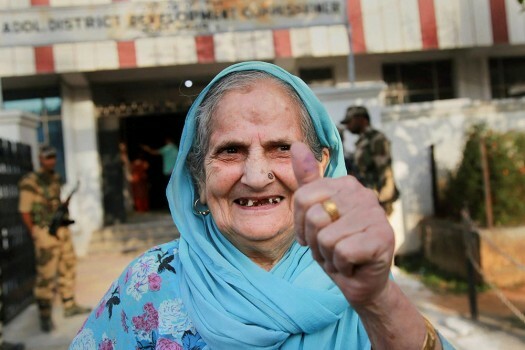 An elderly voter gestures after casting her vote for the second phase of polling for municipal corporation elections, in Udhampur district, Jammu. 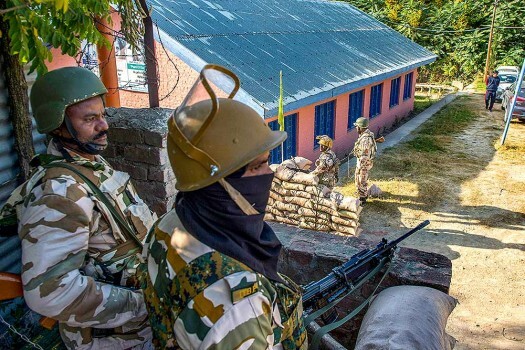 Security personnel stand guard at a polling station during the first phase of elections for urban local bodies, in Budgam district of central Kashmir. 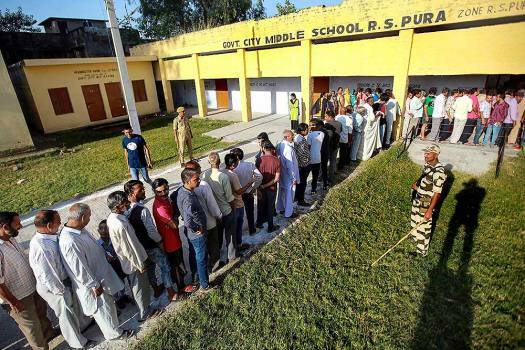 People wait in a long queue to cast their votes at a polling station during municipal elections in Jammu. 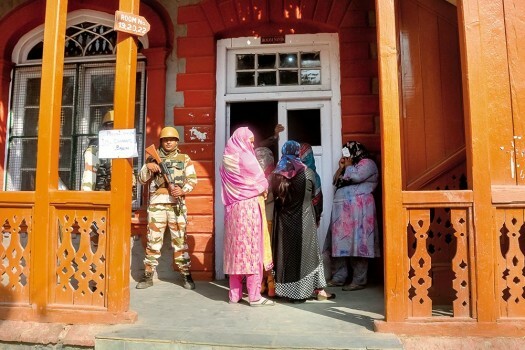 A security personnel stands guard as people wait in queues to cast their votes at a polling station during municipal elections in Jammu. 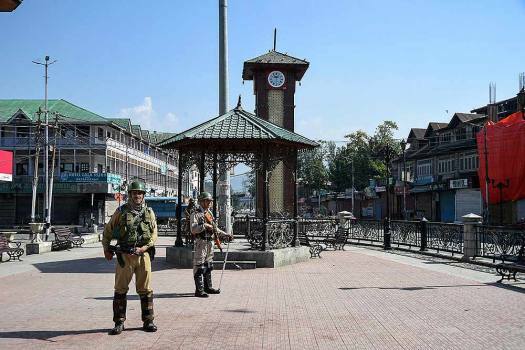 Security personnel guard during the strike call given by separatist leaders against urban local bodies elections, at Lal Chowk in Srinagar. 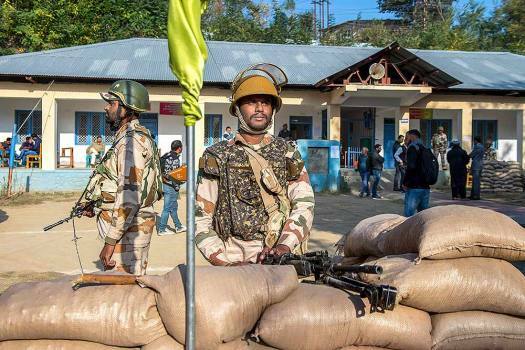 Policemen stand on a checkpoint near a poling station during the first phase of local elections in Srinagar. 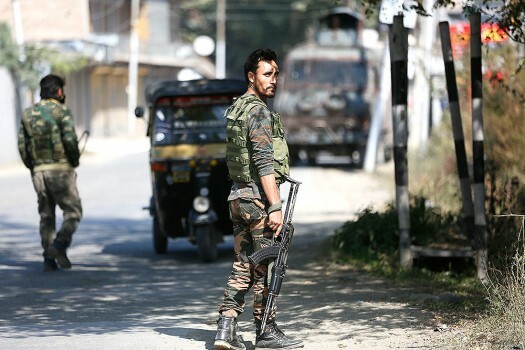 Security persoonel stands guard as people wait in queues to cast their votes for muncipal elections in Ranbir Singh Pura near Jammu. 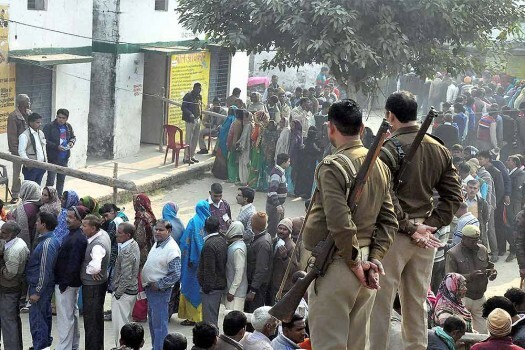 People wait in queues to cast their votes for civic polls in Moradabad. 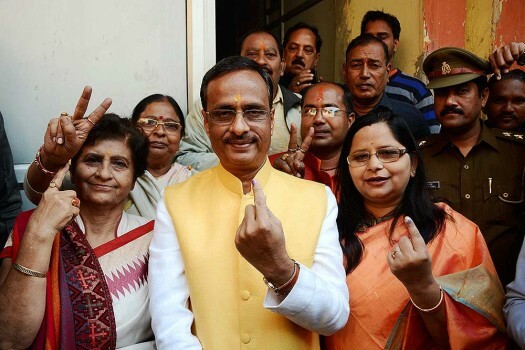 Deputy Chief Minister Dinesh Sharma with his wife (Right) and BJP mayor candidate Sanyukta Bhatia (left) after casting their votes for civic polls in Lucknow. 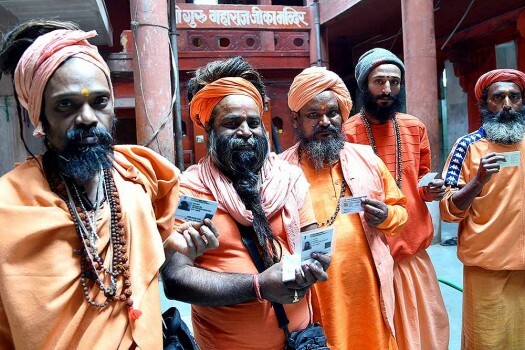 Sadhus display their voter identity cards before casting their votes for municipal elections in Varanasi. 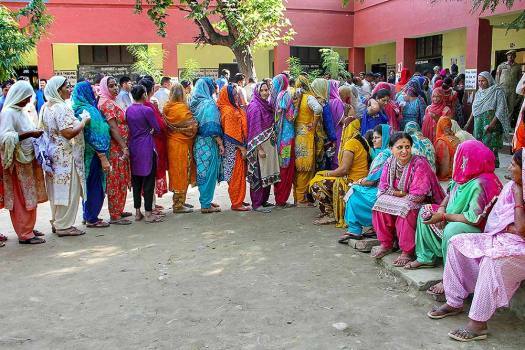 The polls to urban local bodies in Jammu and Kashmir will be held in four phases with the first completed Monday. 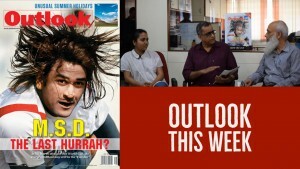 "I do agree that the situation in Jammu and Kashmir should improve. 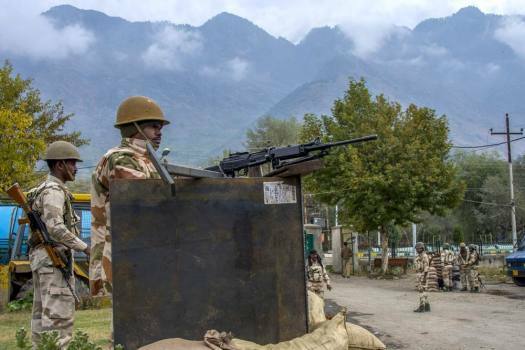 But, the problem that we face is mostly because of Pakistan," said the Home Minister. 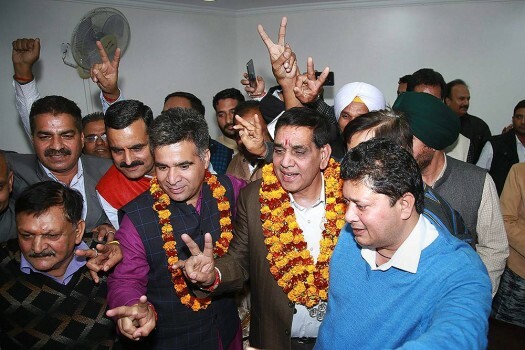 The counting of votes will be taken up on October 20. 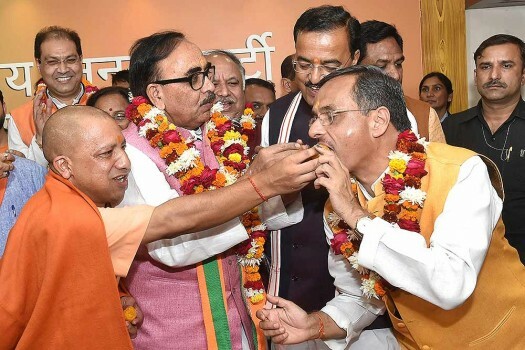 322 wards have been reserved for women belonging to open category. 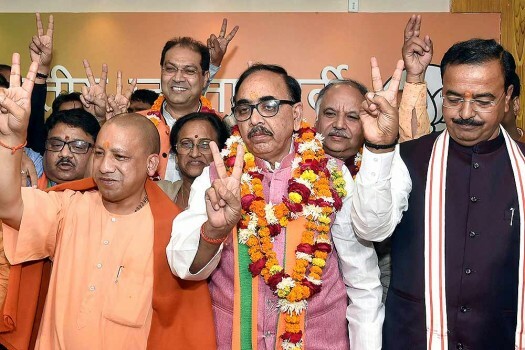 Four parties -- National Conference (NC), Peoples Democratic Party (PDP), Communist Party of India (Marxist) and Bahujan Samaj Party -- have announced that they will be boycotting the polls. 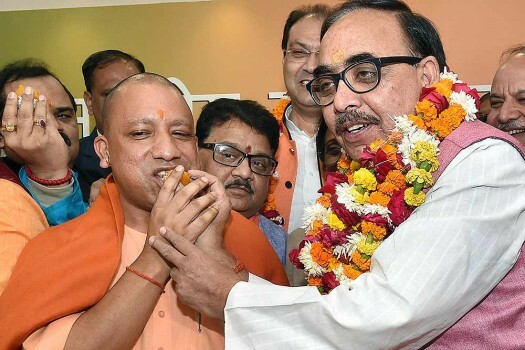 Mattu alleged that leaving the grassroots democratic institutions "open to misrepresentation" would inflict serious harm on the state, and wreak havoc with the social fabric and cultural legacy. Police suspect the incident to be a handiwork of Khan's rival, whose name they did not disclose. What's The Opposite Of Pro? Mind It!